For aspiring writers, Jessica Faust, an agent at Bookends, LLC, has posted the first in a series of query letters that worked and why. There's a lot of food for thought. And, as one of the comments states, it's always good to see examples of good queries as opposed to just examples of bad ones. That's me on the radio! Yesterday marked a "first" for me. I called in to a radio talk show and got to ask the host a question. It was exhilarating and nerve-wracking at the same time. I was on hold for almost an hour, but it was worth it. I learned something I really didn't understand, and the host even said, "You sound smart. You're a thinker. I'm proud of you." Wow. If he got that from my question that sounded like the longest word ever (I'm not sure I took a breath the entire time), then that's impressive (on his part, not mine). Yeah, that in a nutshell is my college-self trying desperately to fight the trend and stick with the tried and true. I showed the same stubbornness when photographers began switching to digital. "But they never actually print out their pictures," I argued with a pack of 24 pictures clenched tightly to my chest. I did jump on the Myspace wave, but I refused to switch over to Facebook. "Time waster, too trendy," I argued. And now, well, let's just say I had to make a resolution limiting my time on Facebook. So what's my latest trend to buck? Twitter. I keep reading about it in all the blogs. I'm curious, but I'm not ready to give in to another time-sucker. I know the benefits and the downfalls associated with it. When I finally do Tweet, I'll have considered myself a permanent member of the dark side. Let me ask you, tomodachisan (Japanese for "friend"), do you Tweet? What do you learn from it? Is it even worth it if I'm only on my computer twice a day? I don't have Internet on my phone, so would that make Twittering pointless? Should I cross over to the dark side? 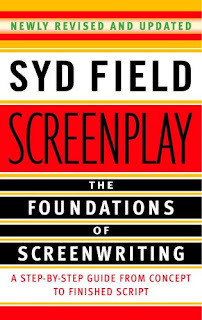 Currently I'm reading Syd Field's Screenplay: The Foundations of Screenwriting. It was recommended to me by another published author because of it's value not just to screenwriters but to writers in general. Mr. Field breaks down story into chewable pieces and give a great many examples of modern-day movies to illustrate his point. Up until this book, especially during my time as a creative writing teacher, I did not think it possible to dissect a story that acutely and still have a quality story come out in the finished product. I was under the belief that too many "recipes" for successful stories produced a stilted and forced story, absent of anything genius. But, Mr. Field is able to break down story in a way that leaves all the room necessary for creative genius to flow, but also guarantees the story will have the elements to make it a quality story. If you're a serious writer, there's a lot of food for thought in this book. I highly recommend it. I'm going to put it on my Amazon wishlist so I will have it as reference when I compose my next story. Are you following the legislation on testing for lead in "children's" products. There's a lot to digest, but I think from what I've read, this whole idea needs a serious overhaul. I'm all about safe products for children and lead testing, but this needs to be done with a little more common sense. The effect of new legislation on people who sell products to kids, including etsy dealers. I'd love to do more research. What have you read? More importantly, what are you going to do/not do? I have read the experiences of many an author. I have concluded that there is no set way to get published. The only commonality I find among all successful authors is that they wrote something and stuck their neck out and gave it to someone else to read. So, maybe I should par my resolutions down to this. Sounds easy enough, but others' experiences tell me that there's a writing demon out there that does his darndest to make sure one or both of those things don't happen. And I'm pretty sure his major weapon is busy-ness. Keep people busy with "important" things, and neither of those two will happen. My 2009 resolutions begin in approximately 6 hours. I decided I'd start the first Monday back to work for 2009, tomorrow. I should be in bed right now, getting lots of sleep for all of my inspired writing and reading and such that I will be accomplishing come 3 AM tomorrow morning, but alas, I am awake. So, I decided to get an early start. This will take care of one of my three blogs for this week--can't go wrong with that. I've been thinking a lot about goals and resolutions for this year. I've been comparing notes with others. And I still have more people to compare with. As I continue to compare, my list grows and grows. I also sat down with my hubby and we wrote parenthood goals (instead of just "motherhood" goals) and financial goals for 2009. I'm excited because I can already feel the momentum. We started many things in December, so the transition to January is going to be more of a step rather than a leap. And, all this said, I have already decided that I need to cut back my goals. The list is slowly creeping into two typed pages. Sounds impressive, and also is unrealistic. I will begin paring back tomorrow. I need goals to aim for (because if you aim at nothing, you'll hit it every time), but I don't need a list that is so impossible that I give up on everything. Plus, I've already started making excuses in my head for why I wouldn't complete the goals each week which tells me those really aren't as big of priorities as I first thought. This is a process, but a good one. What are your goals for 2009? I'd love to compare lists. I believe mine will be a work in progress as the year goes on. 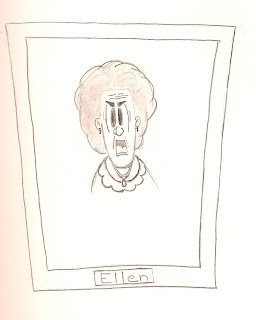 Oh, and I've decided on a motif for this year. I believe 2009 will be a year of peace.